These are neat, but only available as a $90 set? GTFO. I would have picked up one or two at retail (for $10 each) but no thank you for this set. I can't imaging anyone is waiting to over pay for what look like the kind of foreign toy knock offs we would have passed at the swap meet. I just saw the thread title on my side bar and thought it would be people complaining about the reaction line. 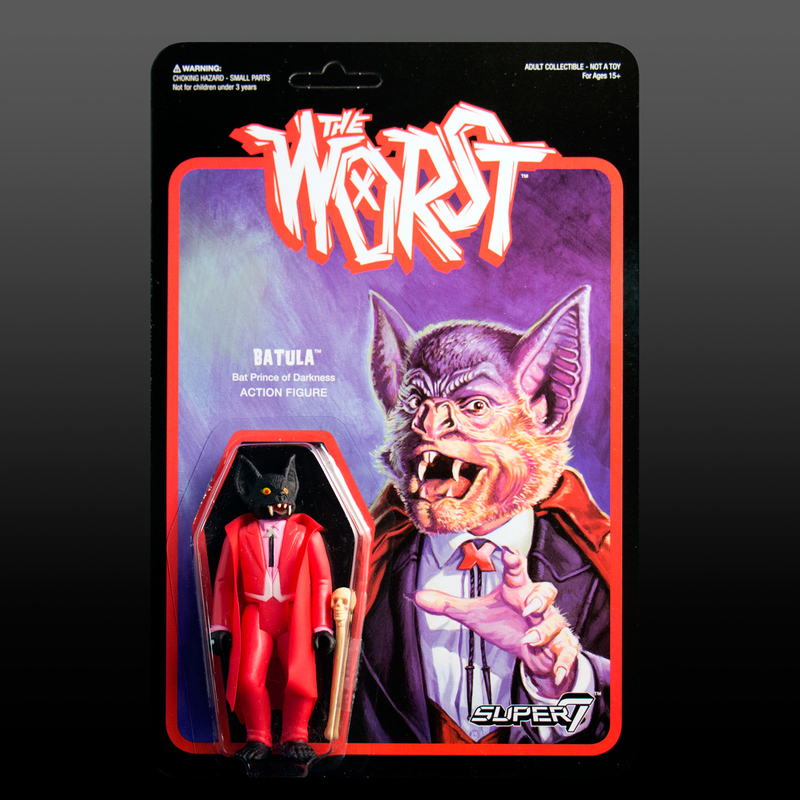 I thought every figure from Super 7 was already the Worst figures?? I just do not get the whole retro reaction line. but seriously these are to first from these guys that I'm bummed over the articulation, because if these were on the BFS bucks they'd be fuggin' stellar. super fun designs, but out of my price range. I hope someone casts the heads. I will admit I got a chuckle out of the name "Gas Phantom". Being killed by a dude named "Gas Phantom" would be the worst! As with all of the other 5 POA Retro Style figures, I don't see why these aren't cheaper. I'm not sure if I'm correct on this, but they seem like they aren't too expensive to produce in terms of action figures so I just find it weird that someone hasn't put two and two together and see that pricing them fairly would generate more sales. I would've figured ones not based on a license would be EVEN CHEAPER, not LESS. But yeah even the regular figs they've done are a tenner for 5 PoA, barely any likeness in most characters, and almost never even an accessory. At 2016 NYCC I was talking to the guy at the Super 7 booth (who was really nice) about this line and he mentioned that they were trying to turn it into a media franchise like this, but I never thought they'd actually pull it off. It's so cool that they made this happen. Curious if this is cell animated or stop-motion (since they mentioned the Robot Chicken studio). BTW, I never bought the whole set (like I said above, only as a set for $90? GTFO) but I told them I really wanted a Gas Phantom and they found one on a damaged card to sell me (they could only break up sets that way). It's a really fun figure. I'm looking at some of these now, but I don't see a Gas Phantom in the colors you got. He looks nice. 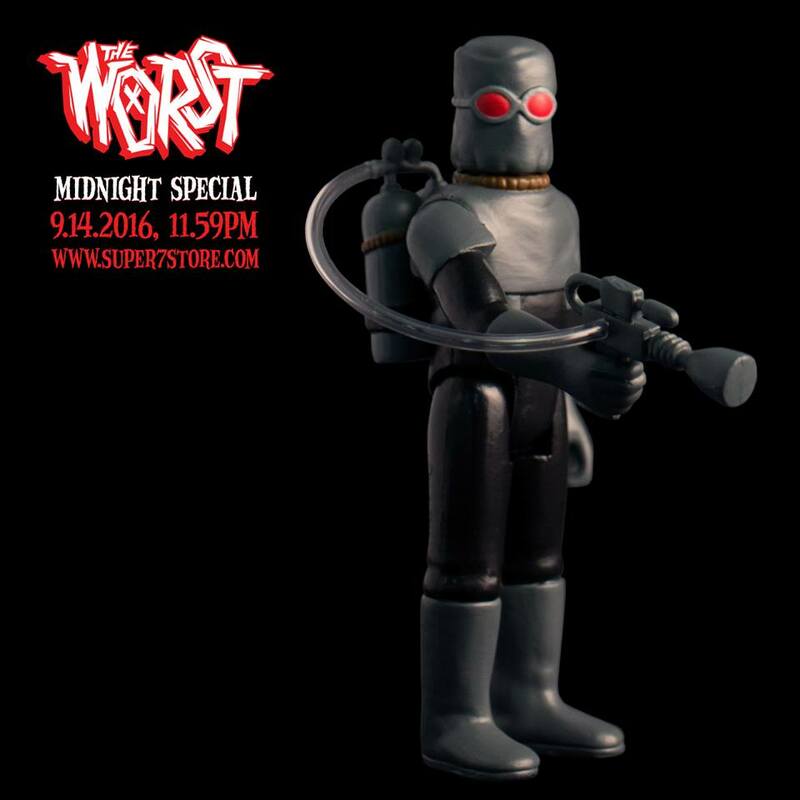 That version of Gas Phantom is from the 9/14/2016 Midnight Special release. Apparently ebay is filled with variants of these. Is there a definitive list I can view? 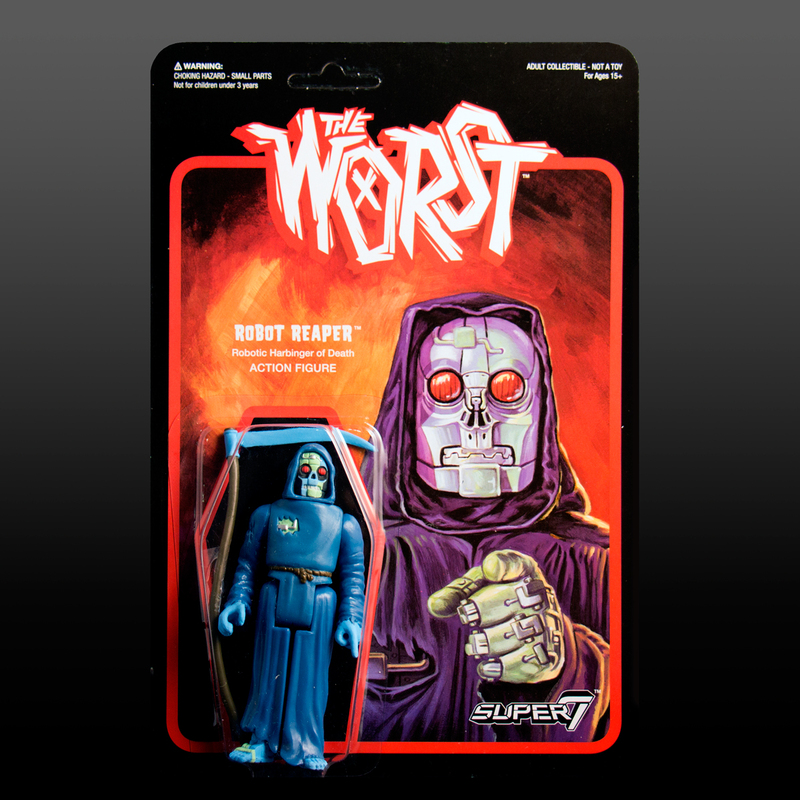 Super 7's site has checklists for everything else but The Worst.